Are you using an exit popup on your Shopify store? If not, you’re ignoring one of your best chances to encourage visitors to become customers. 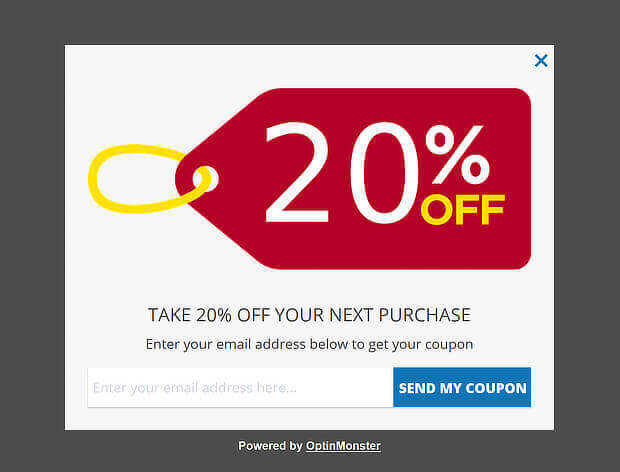 One of the best offers to make with an exit popup is a coupon. 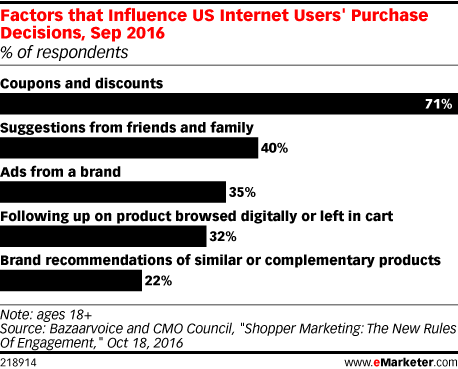 That’s because, according to data from eMarketer, 71% of shoppers will make a purchase decision because of a coupon. In other words, most shoppers will be willing to join your email list, if there’s a discount waiting on the other side. Once they’ve subscribed, you’ll have multiple opportunities to make more sales with new email marketing campaigns. 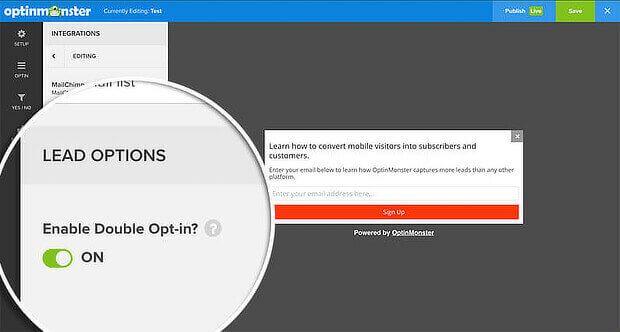 The good news is, you can offer both exit popups and coupons with OptinMonster. 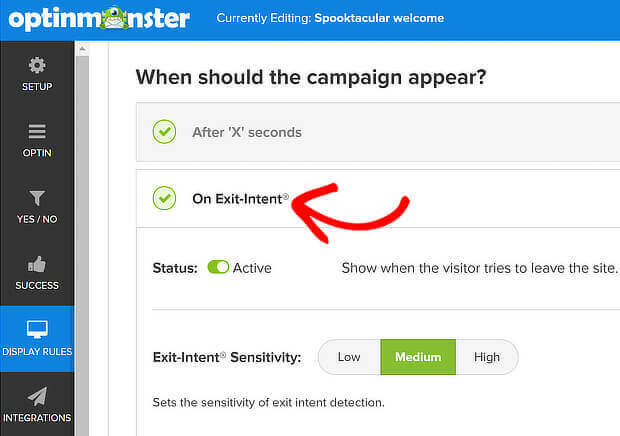 One good reason to use OptinMonster for your Shopify coupon popup is that our advanced Exit-Intent® Technology will ensure that visitors see your coupon just before they leave your site. It’s the perfect time to grab their attention and persuade them to buy. Best of all, you won’t need any additional Shopify apps for popups, because OptinMonster already has a Shopify integration. First, you’ll need to create an OptinMonster account if you haven’t already. 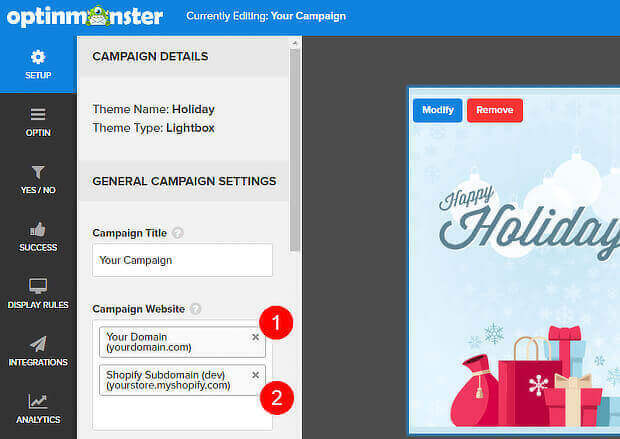 To get started creating your Shopify popup, login to your OptinMonster dashboard and press the Create Campaign button. Choose a campaign type. 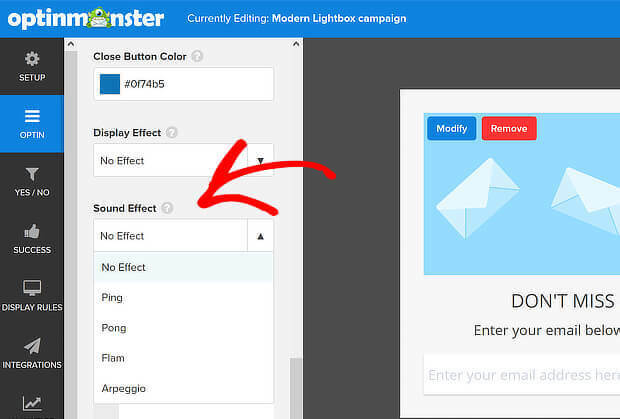 We’ll use the Lightbox which, as you’ve seen, has achieved high conversions for OptinMonster customers. Choose a theme. We’ll use Modern. Name your campaign, then press Start Building. We’ll add a website to your Shopify lightbox popup later. 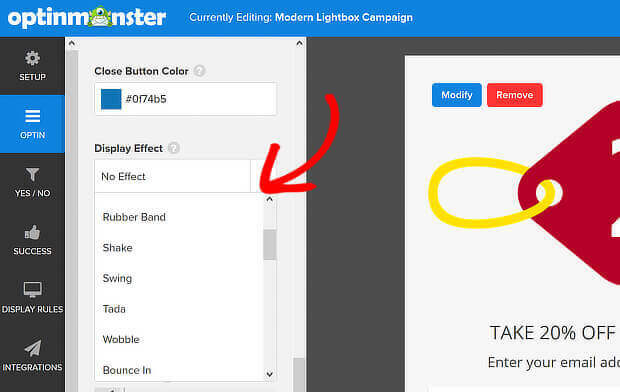 Once you’ve named your campaign, you’ll see the default lightbox campaign in the OptinMonster campaign builder. Now it’s time to edit the campaign to create your own custom exit popup for your Shopify store. First, click on the image icon to add an image related to your store or a specific product. If you need to find affordable images, check out our list of free image sites. The default campaign includes a headline and body text. Next, you’ll need to edit that to make it right for your store. Select the headline text and type a new headline that’s related to your coupon offer. Do the same thing to edit the body text. Save your campaign. It’s a good idea to do this at intervals while you’re creating it. 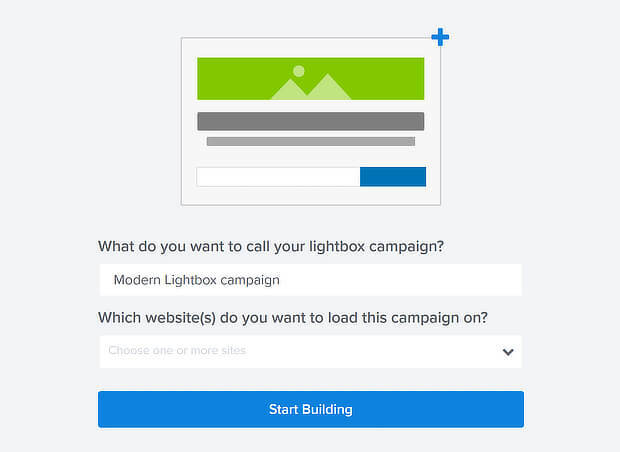 Click on the email field to go to the Email Placeholder section of the campaign builder. Here, you can edit the placeholder text if you wish, though we’ll leave it as is. Click on the submit button to go to the Submit Placeholder area. Again, you can edit this text to make it more relevant to the Shopify popup coupon offer. You can get more attention for your Shopify popup signup form by adding display effects and sound effects. To add a display effect, go to Design Fields » Display Effect and choose one of the options to make your campaign pop out at visitors. Here’s an example of the Rubber Band display effect. You can also add an audible notification by going to Design Fields » Sound Effect and enabling one of the available options. With a sound effect enabled, your visitors won’t miss your popup. The third step is to choose display rules to decide when your campaign will display. Since we’re creating an exit-intent® popup for Shopify, we’re going to go to Display Rules » When should the campaign appear? » On Exit-Intent®, and toggle the button to enable the rule. If you want to achieve the same effect for visitors browsing your store on mobile devices, you can use the InactivitySensor™ (Seconds of Inactivity) rule in the same section. 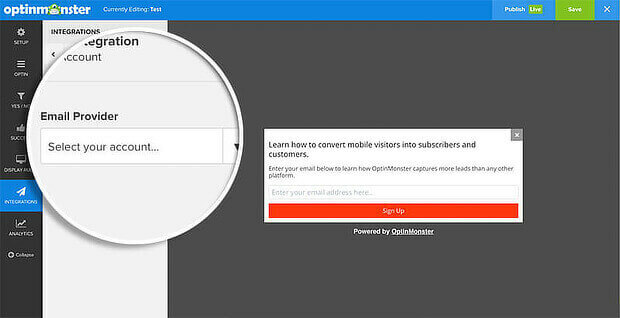 In order to collect subscribers’ emails, you’ll have to connect OptinMonster to your email service provider. 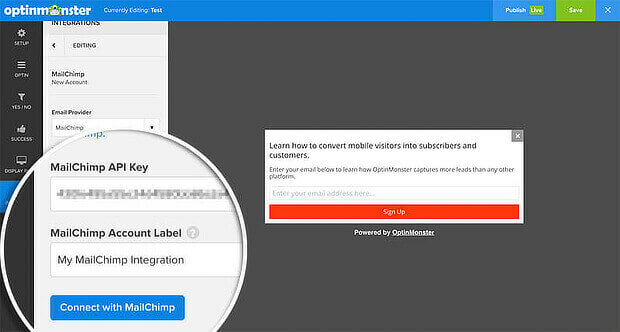 For example, here’s how you integrate MailChimp. Go to Integrations » New Integration » Email Provider. Choose MailChimp from the dropdown list. Add your MailChimp API key in the correct field, name your integration, and press Connect with MailChimp. Go to Email Provider Account, and choose the list you want to add your new subscribers to. You can also enable double opt-in by clicking the toggle in the Lead Options box. And here are the instructions for all our email integrations. You can also change the Success Action to Redirect to a new page, and add your Shopify coupon URL so it’s automatically applied when new subscribers go to your store. 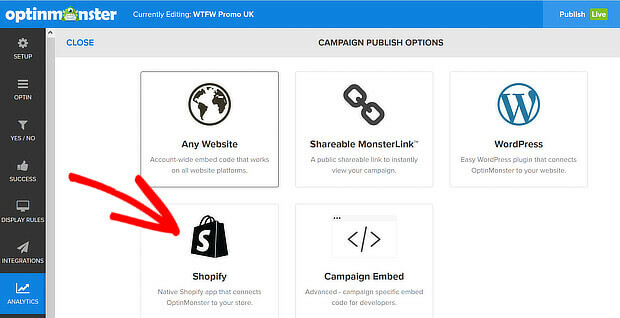 You’ll need to link your OptinMonster and Shopify accounts before you can publish your Shopify exit popup. Do this by enabling our Shopify integration, as shown in the video below. Then, add your Shopify website by going to Setup » Campaign Website, and entering your Shopify domain. Once that’s done, save your campaign and click the Publish button. This will bring up all the publishing options. Toggle the Publish button to make your exit popup live on Shopify. Instead of just asking for an email address, you can edit your campaign to collect subscribers’ names, too. That’ll allow you to personalize your emails to get their attention more easily. To do this, go to Optin » Name Field, and toggle the button. The campaign builder will update accordingly. You may need to edit the button text if that makes space tight. That’s it! Now you know how to deliver a coupon with an exit popup on Shopify. Next, learn how to create an announcement bar for your Shopify store, create a Shopify MailChimp signup form, or boost your revenue with an in-cart upsell popup. And don’t forget to follow us on Twitter and Facebook for more Shopify tutorials and in-depth guides.